BRGR Kitchen & Bar - Power & Light brings a fresh adaption of the most classic restaurant concept around to the Kansas City area. The burger was born and bred in America as a convenient way to eat on the go, but it’s grown up a bit, and has become our country’s favorite food. BRGR (the owners’ initials) is taking a bold step forward with this concept. 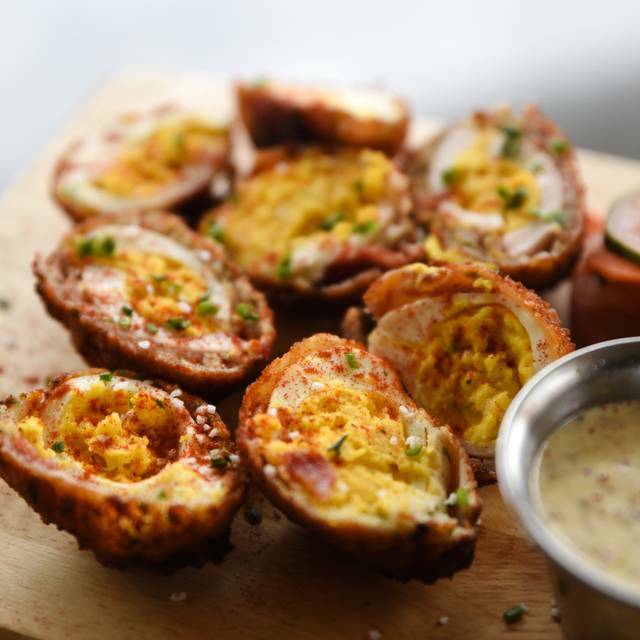 The classic American foodie will enjoy a value-oriented culinary experience designed with an atmosphere and attitude that doesn"t forget you’re a sophisticated eater. Hand-selected beers and wines as well as craft cocktails round out your experience and complement your meal. When you visit BRGR, you can expect great food, fresh ingredients, focused service, and a little reverence for classic American cuisine. Our Lunch Catering menu is perfect for meetings or special events. 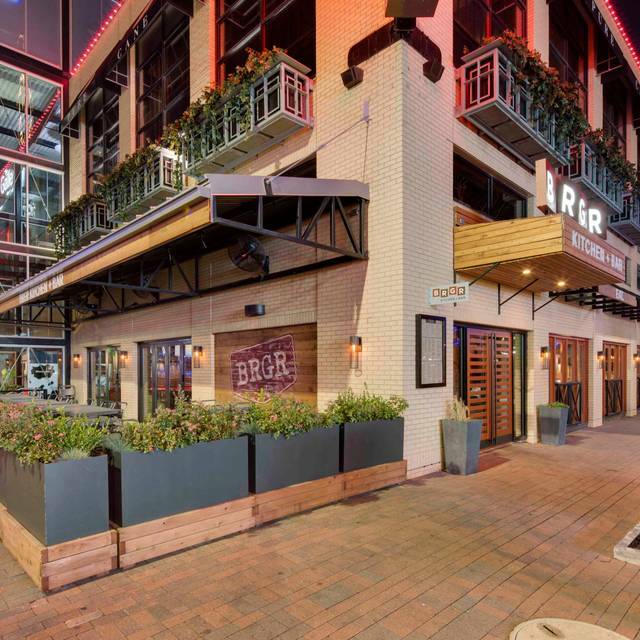 Or hold your special event at BRGR Kitchen + Bar in the Power & Light District. Call 816-214-8607 to book an Event/Catering. 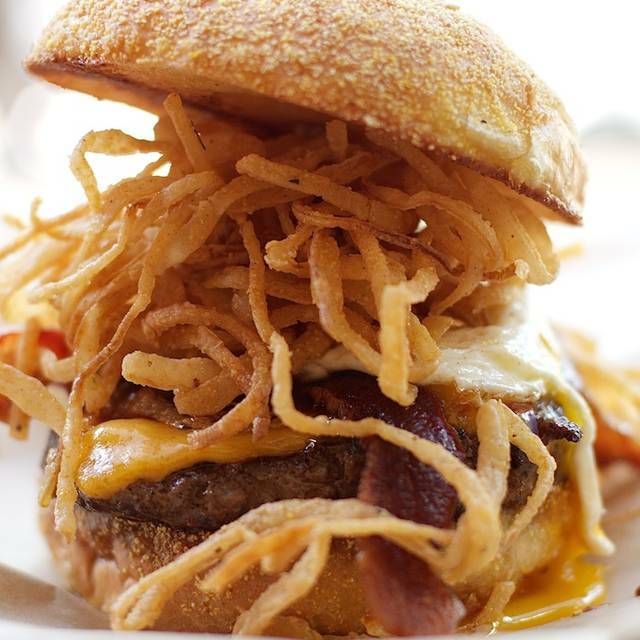 Big 12 Tournament - BRGR Kitchen and Bar Power & Light District Only. The restaurant was great! The food was super tasty and arrived quickly. It was incredibly busy before a concert, so it was very loud. We did feel a little rushed by staff. Best place for a burger and a beer before the Big12 tournament. Waiter was extremely attentive and kept the beer flowing. They were efficient and appreciated the fact we were there for basketball. Great selection of burgers in a casual atmosphere. Love that during busy times I can get myself on the waitlist en route. The food came out super fast and our waiter didn’t even use a note pad! Wow! First impressions do make a difference! The greeter was less than helpful. I had registered for your so called "wait list" and asked for seating with my name. She replied that they didn't take reservations. I explained about the "wait list" and she shrugged her shoulders and said "whatever". We said we were waiting for another couple and she said we were welcomed to sit at the bar. No menus, no inquiry as to how long, nothing. After a few minutes I asked if we could please have a table and was shown to one. The couple we were waiting for arrived a few minutes later and asked for us, but she didn't remember and said she couldn't help them just shrugging her shoulders. They arrived at our table slightly annoyed. Luckly we were in sight. The waitress was efficient and friendly. The food was uneven. My wife's steak burger was great. The onion rings too. The fast cow burger was nothing special. There was no response from the person in my party ordering the chicken sandwich. Maybe our food would have been tastier had the evening started off in a more service oriented manner? The service was very slow. One persons food never came out. I requested to put a table together and the waiter refused. Even though other big parties had done the same thing. Food was very good, but our waitress seemed a bit disinterested and made a couple mistakes with our order. Overall I would recommend because the burgers are so good (and unique). Note we went early so I imagine it is much more crowded/noisy later in the evening. The waiter was AC and he was amazing. Good food and good people. They are also pet friendly. I will return if I’m in KC. Always pleased with BRGR and this location in the P&L. Great food, great vibe, and awesome selection of drinks. Service is always great too. Always a great experience. Burgers top notch and lots of choices, fish fillet & chips was excellent, and build-your-own Mac &a cheese very unique and excellent too. Add to that a top flight of beer choices and this place never disappoints. Tip - use the Open Table "wait list" option for BRGR and skip the wait. We always enjoy BRGR. Never disappointed. Great atmosphere, great food, great service, great taste, great burger selection, and great beer selection. And the ambiance is excellent. One of our favorites! This place is one of my favorite right before an event at P&L. Their beer list is pretty good, but for "beer snobs" it's all draft or cans (bottles will be gone everywhere soon FYI). The menu is just that burgers just about anyway you imagine them and some tasty sides. Never had a bad burger and the sweet potatoe tots are great. The main reason I return here, as anywhere is the staff. If they aren't good I bolt. And I followed one of my favorite servers in KC, Janine, here so I'll be back. But the weekday crowd is thin if there isn't a concert or game at the Sprint Center. Food is top notch. It is very crowded however and noise level is too high for good conversation. The waitress was sneaky with saying "do you want fries or tots with that?" After we ordered our meals, which implied they were included. It was only after we asked that she said they weren't. I'm sure it's an up selling technic, but it made me not want to come back because I knew what she was doing and it's really shady. Be up front about what people are ordering. We had a big group & service was efficient & relaxed. Food was excellent and would highly recommend! It's an alright burger place. The beer list cook be better given the price point and location. But the service is spectacular. Props to John and Janine!! Burger was just ok for me but the trio of fries, tots, and onion rings was really good! Big enough to share! Large enough to share and the tots are great too! While visiting KC, and revising plans during a major series of storms, we walked to BRGR from our hotel. We were pleasantly surprised with the quality of the food, and the excellent service from our waiter who also happened to give us great suggestions for other KC restaurants. Both the burger and the short rib tacos were very tasty, and the sweet potato fries were fresh and crisp. The highlight may have been the brussell sprouts dish, a unique blend of ingredients including capers. Beer selection was excellent. For a sports bar like setting, the food exceeded our expectations. Wonderful lunch spot with great burgers. Also had the Mac and Cheese which was really a surprise. Must try. Love the variety of drinks they have here. We each had something different and it was all very good. We split a burger (which was huge) and the trio of French fries, tots and onion straws. Very Very good but even though we split it it was still a lot of food. Would highly recommend. BRGR is a great place for a burger and brew. You must start with the PIg wings. Our server's general lack of concern for our table from start to finish was a huge disappointment. This was a first for us at the P&L location, but enough to make us rethink this spot for our next burger. A group of eight of us had a great meal at BRGR. It was extremely busy because of a big concert at Sprint (glad we had reservations! ), yet the waitress did an excellent job of taking care of us. It was the fist visit for most of our group, but it won't be their last. Thanks. The girls and their parents LOVED BRGR!! Everyone thought the burgers were amazing!! I would say that the Juicy Lucy was one of the best burgers I have had in my entire life! The staff did a fantastic job of serving our large tables. The adult beverages were really tasty too!! The atmosphere was unique and very fun! We will definitely visit BRGR when we are in Kansas City in the future. Food was delicious! Unique and fun variety to choose from. I had the Funky Chicken and sweet potato fries. Teenage girls had build your own Mac n cheese which they described as -"creamy goodness"! Onion rings were huge, yummy! We ran a little late for our reservation due to traffic, but after talking with them they held our reservation of 9! Thank you! Waitress was super helpful & nice, and food was out very promptly! Would definitely go back. Food variety was abundant. Love the lobster grilled cheese! Good for adults & kids. We love going to BRGR before seeing shows at the Music Hall. Great food, great service, and friendly atmosphere. The location is excellent; so close to downtown venues. The service was attentive and fast for the most part. The food was unfortunately nothing more than average. I had the "new BRGR" burger with fries. (Fries and all the other sides are a la carte). The burger was soaked in grease. I enjoy a juicy burger, but not grease literally dripping out of it. My wife had the BRGR burger; her comment was it tasted like "freddy's " burgers. Her sweet potato fries were very tasty. If you are in a hurry in downtown, this place is ideal for a quick meal. We were in an out in 40 minutes. Nice burger bar. I had a great bison burger while the rest of family had great burgers and blt. The roasted brussel sprouts was a surprisingly great addition to the meal. We got too many orders of French fries and did not care for the truffle fries. Fantastic food, great ambiance and service are why I keep coming back time and time again. Well done. We love to go there before theater events. Super location, and amazing food. Large portions! Party of 3 had truffled tots, burgers and the pot roast along with beers and an adult shake. All were fabulous and the server excellent and friendly. Would go back in a heartbeat! The food was amazing. The restaurant was great. The only thing that was lacking was our waitress. Not friendly at all and hardly ever came to the table. We had to wait about 10 minutes for her to even come take our drink order. We had a very attentive and hard working waitress. She did a great job! Love this place. Great for post-work happy hours. Or random Saturday lunches. Great food and drinks! Love the atmosphere though it did her pretty noisy it was still fun and conducive to catching up with friends! Our server on this night in particular left a lot to be desired. She lacked a sense of urgency and continuously blamed the bar tender for drinks taking too long. One order came out wrong - first she blamed our group for not remembering how they ordered and then after realizing that wasn't flying she blamed the kitchen on misreading what she typed in...a simple I am so sorry and I will get that corrected would have sufficed. 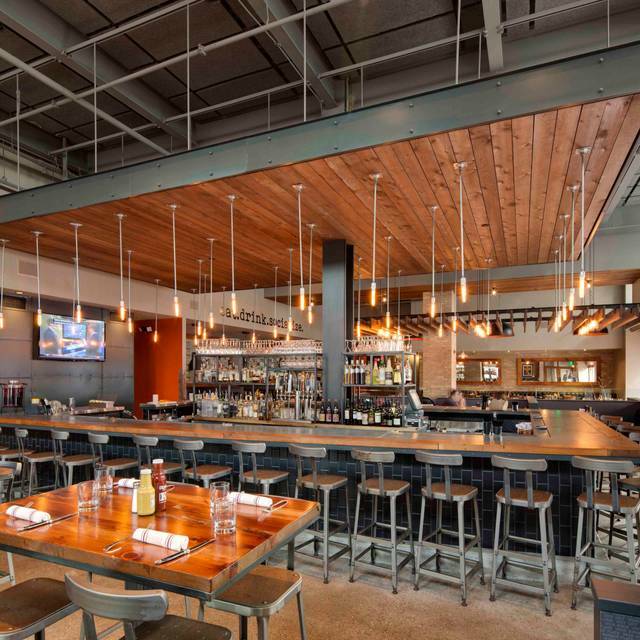 BRGR is often a fave and easy spot when attending an event at Sprint Center. Service was off this evening though as we were seriously rushed thru our meal. 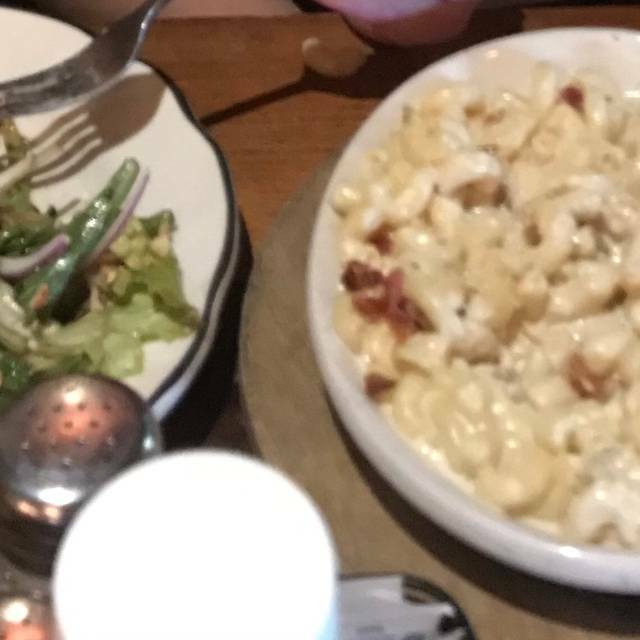 No really- the waitress came asked if she could take my friends plate when he was still holding 1/2 of his hamburger in his hand eating??! I stopper her and said 'No, he is still eating his hamburger, see?' Disappointed.